A swingarm, or "swinging arm" (UK), originally known as a swing fork or pivoted fork, is the main component of the rear suspension of most modern motorcycles and ATVs. It is used to hold the rear axle firmly, while pivoting vertically, to allow the suspension to absorb bumps in the road. 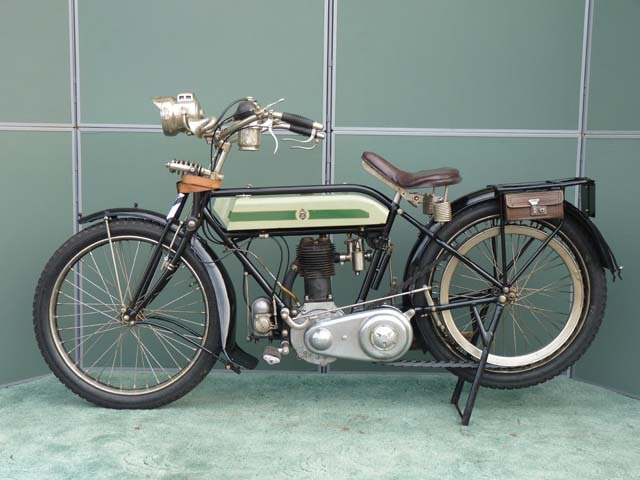 "The days before suspension - only a spring-loaded saddle"
Early motorcycles did not have rear suspension at all. The rigid frames would have to absorb the shock from road vibrations and other types of shocks, which meant frames frequently broke. The swingarm made shock absorption more efficient, though early models were somewhat clunky and prone to failure. Plunger systems allowed the rear axle to travel up and down two vertically-mounted posts, and while this system worked, it was not always the smoothest shock absorption system. The rebound after a shock was absorbed could alter the way the bike handled. The swinging fork was another type of swingarm that improved on the plunger design. The parallel bars that attached to the main triangle at one end and the axle at the other were attached to a pair of shocks, one on each side of the bike. 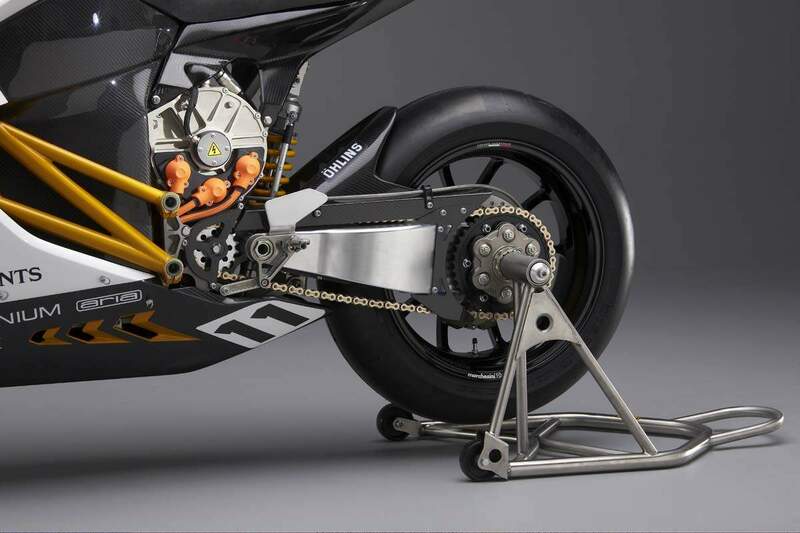 The shock ran from the swingarm to the seat rail of the bike, providing a near vertical shock absorption system. This allowed for more plush shock absorption, but it also added weight to the system. A cantilever version of the swinging fork became common as well. This variant used the same parallel bar idea as the original swinging fork, but the shocks were not mounted between the swingarm and the seat rail; instead, the shock was mounted toward the front of the swingarm and attached at the other end to the main triangle of the frame. This allowed for the use of one shock instead of two, and it improved the motion in which swingarms could travel, thereby improving handling of the motorcycle. From this design, the single-sided swingarm was born. This design works similarly to the cantilever shock system, but instead of using two parallel bars to connect the rear wheel to the frame, only one bar is used, and it is mounted on only one side of the wheel.